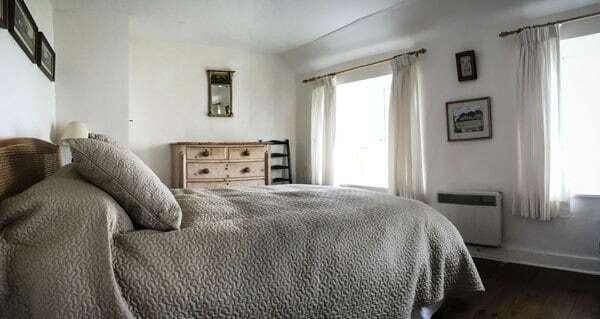 Foss Cottage is a luxury self-catering holiday cottage, in the popular village of East Prawle. 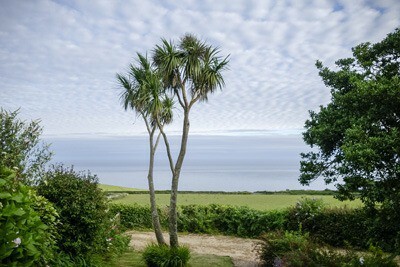 It is situated near the sea on the South Devon coast facing south, looking out over the English Channel between Prawle Point and Start Point. 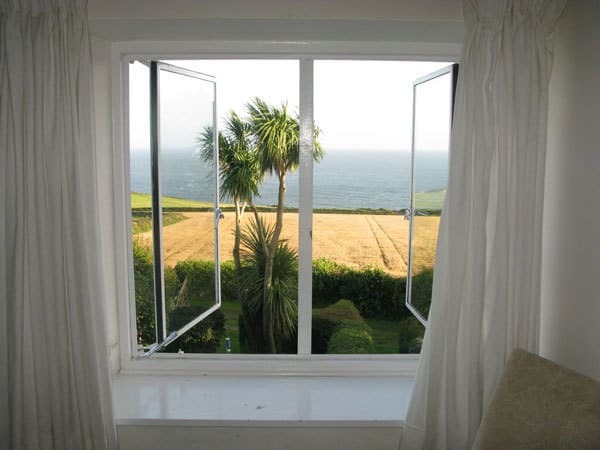 You can see the sea while lying in bed in the main bedrooms. There is a large front garden with flower beds and terraces for sunbathing and eating out. 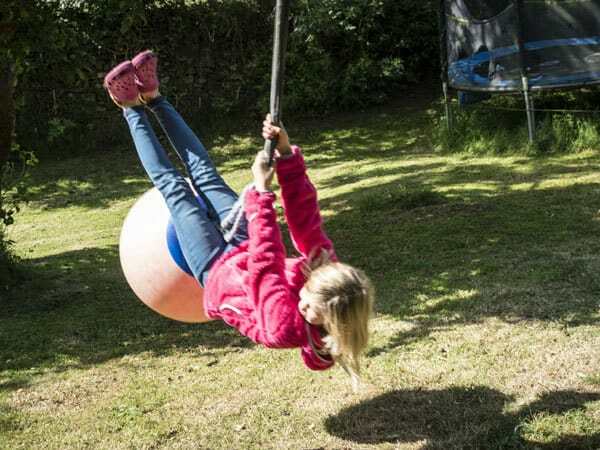 At the west of the cottage is an orchard, also with lovely views and room for children to play. 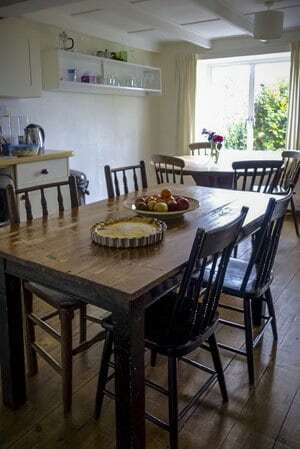 The kitchen is large with a round table for eating and an oblong work table. For large parties these can be pushed together. 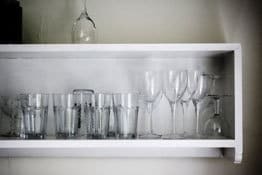 There are 2 fridges, a freezer, a modern electric stove with ceramic hob and also a dishwasher, a washing machine and a dryer. A wonderful kitchen, well equipped, a lovely place to be. All rooms except one back bedroom have a view of the sea. There are electric heaters in the bedrooms and kitchen, and heaters and open fire in the sitting room. 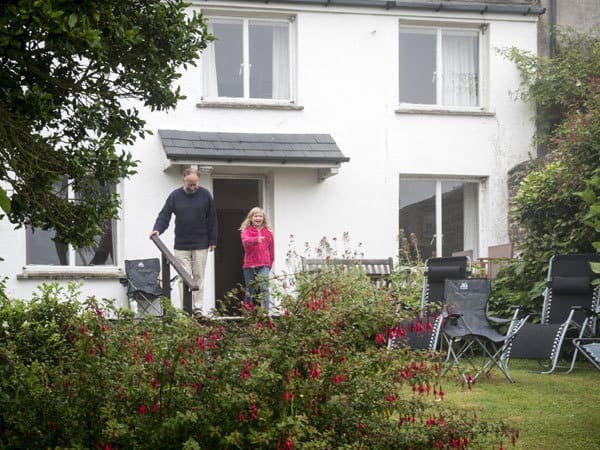 The cottage, now a self-catering holiday cottage for rental, has always had a happy, family feel and an individual style. The rooms are spacious and the furniture is comfortable and cottage style. The walls of Foss Cottage, East Prawle are covered with pictures. 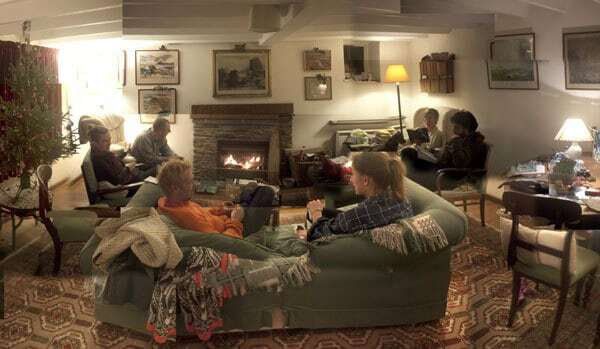 The sitting room is large and bright and has a lovely open fire with night storage & electric heaters for backup. There is a record player (if the last visitors have not broken it). The bookshelves are full of light reading and there is a huge store of games to play in the evening or on a rainy day. There is a panoramic view of the Channel. The two main bedrooms are double rooms – large, light and airy, facing the sea with a breath-taking view of the sea by day and night – fabulous when the moon is out.. There is a smaller back room with single/twin beds more suitable for children but possible for adults(no view) and another single/twin bedroom (which can be made into a double bed) with a view facing west. 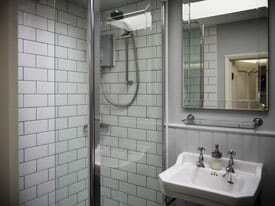 There are two bathrooms. . Sleeps 8/10 (8 adults, but more if some are children). Camping is possible in the orchard. Children love it, although you have to look for a flat corner. There are two and both have been recently modernised. Upstairs at the back of the house, there is a modern shower room with underfloor heating, heated towel rail and a modern electric shower. 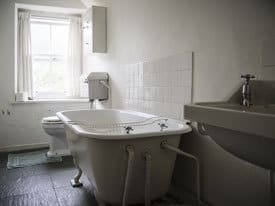 On the first floor, there is a charming older style bathroom with a tub bath that has been re-enamelled and faces the window so you have a view when lying in it. 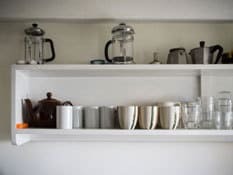 Also with a towel rail and underfloor heating, and beautiful panelled walls – it is a delight but has not lost its original style. See this walkaround video of the cottage, the garden. the views, the orchard and some surrounding countryside.